A few posts ago I wrote about supplying your classroom with the things you need to make your classroom complete. Today being the 1st of August, "Back to School" is on most minds. Kids have mixed feelings of being excited, yet not wanting to give up summer freedom. I'd like to feature a few more exciting classroom products as we lead up to the start of school. The Value Line 2-Station Art Center allows for creativity to really shine. The two sided center enables two children to draw at one time. 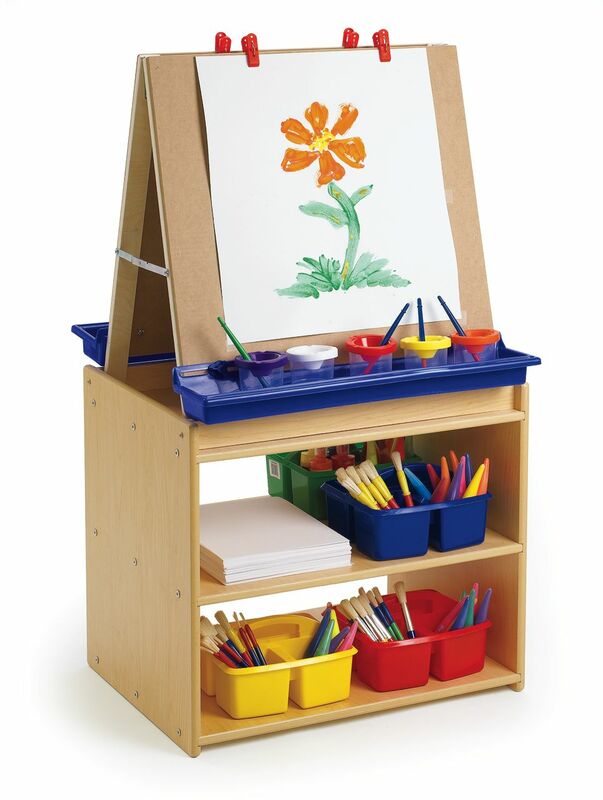 The two shelves below the easels provide storage for art supplies. Another great classroom product is the Science Exploration Table. The center tub is removable, making it easy to clean. Included are two reflective, two magnetic, and two magnifying panels. 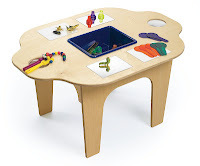 Let kids explore the wonders of science with this great table. As August progresses I will highlight other great school products to gear up for going back to school!